That technology isn’t just in science fiction; it really exists and has even been commercialized. It supports devices that enhance human strength, assist disabled people and even provide rehabilitation after injuries. Our work focuses on helping stroke patients' recovery. Many researchers around the world have developed robotic devices for rehabilitation purposes. These devices are typically designed specifically to work on patients' paralyzed arms or legs. Many clinical studies confirm the effectiveness of automated therapy; in some cases it is even better than conventional therapy. However, there is still a long way to go. Our final goal is to develop home-based exoskeletons. Currently portability, high costs and limitations on the performance of the available systems are the main barriers for using rehab exoskeletons in patients' homes. Home-based rehabilitation could dramatically improve the intensity and effectiveness of therapy patients receive. Robots could, for example, allow patients to start therapy in the very early stages of recovery, without having to deal with the hassles of frequent and long visits to clinics. In the comfort of their own homes, people could get specific training at the appropriate level of intensity, overseen and monitored by a human therapist over the internet. Maximizing therapy robots' ability to help patients depends on deepening the human-robot interaction. This sort of connection is the subject of significant research of late, and not just for patient treatment. In most cases where people are working with robots, though, the human takes the lead role; in therapy, the robot must closely observe the patient and decide when to provide corrective input. These devices can also help reduce the social isolation many stroke patients experience. With the aid of augmented reality tools, therapy robots can help patients interact with each other, as in a virtual exercise group. 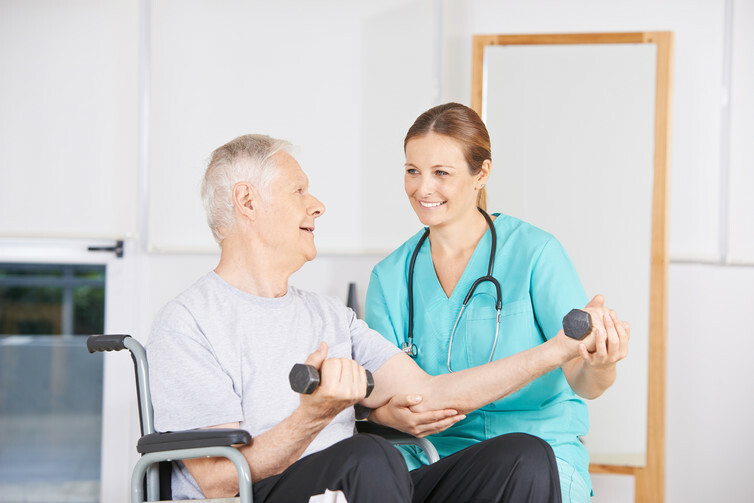 This sort of connection can make rehabilitation a pleasant experience in patients' daily lives, one they look forward to and enjoy, which will also promote their recovery.